Cocoa Rustica is a values-based business launching a pure 100% cacao drinking and cooking chocolate product line, sourced around the world. Just the right bitter intensity, versatile and authentic. 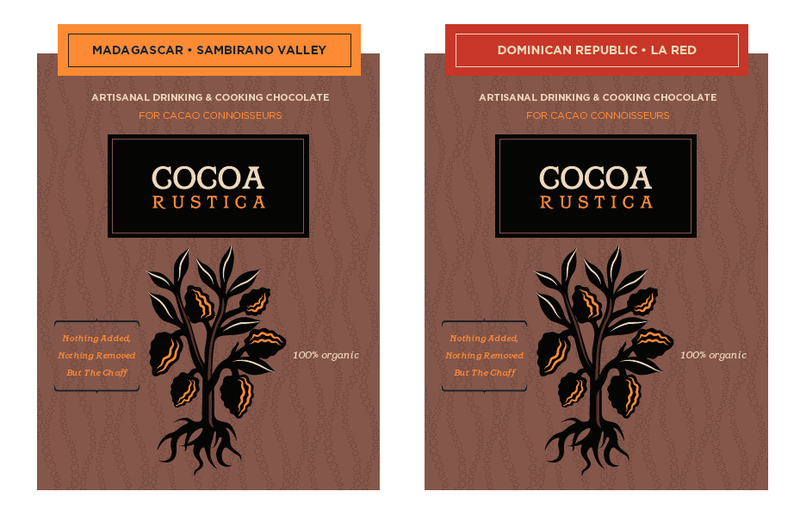 Cocoa Rustica is dedicated to serving and supporting the international cocoa community, farm to table. Fair trade-certified. Packaging assembly by CAP and the California Autism Foundation. Primary consumers are an eclectic mix: artisan, alternative medicine, organic and natural food and beverage consumers, gourmet home chefs, LOHAS, cultural creatives, slow food, chocolate and cacao connoisseurs.